Have your kids create addition, subtraction, multiplication, or division number sentence mobiles. Directions: There are different ways you can complete this activity. 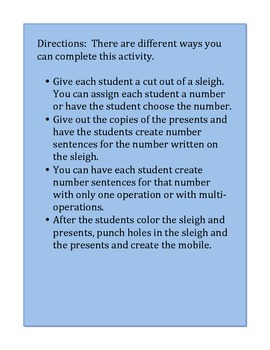 •	Give each student a cut out of a sleigh. You can assign each student a number or have the student choose the number. 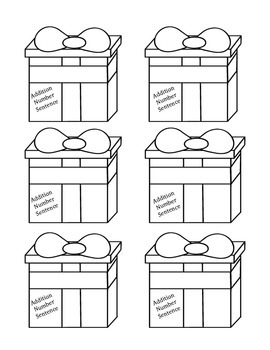 •	Give out the copies of the presents and have the students create number sentences for the number written on the sleigh. 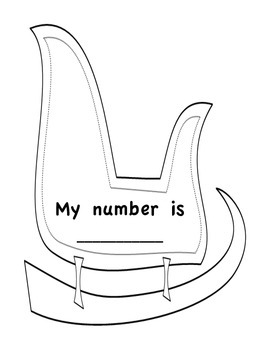 •	You can have each student create number sentences for that number with only one operation or with multi-operations. 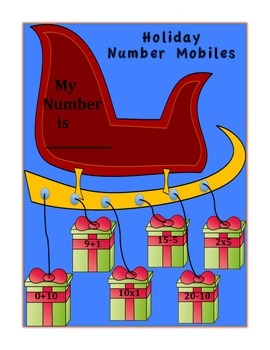 •	After the students color the sleigh and presents, punch holes in the sleigh and the presents and create the mobile.